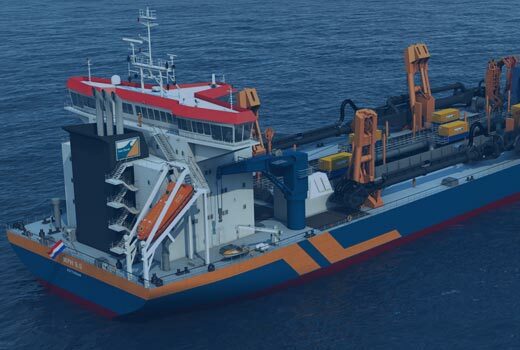 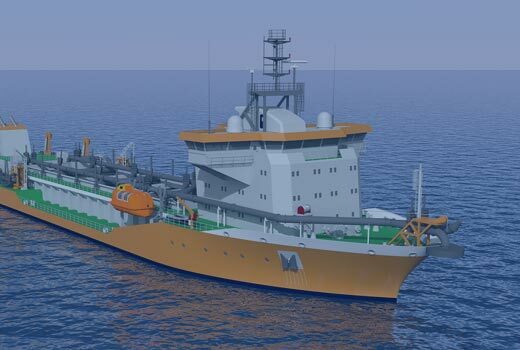 C-Job created the Concept Design of the dredging vessel for Indian Cochin Shipyard. 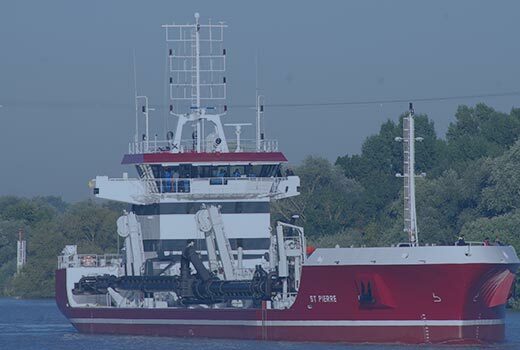 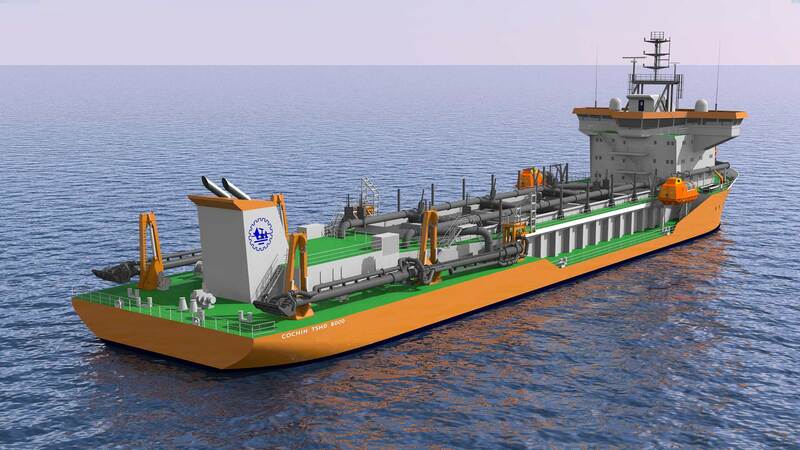 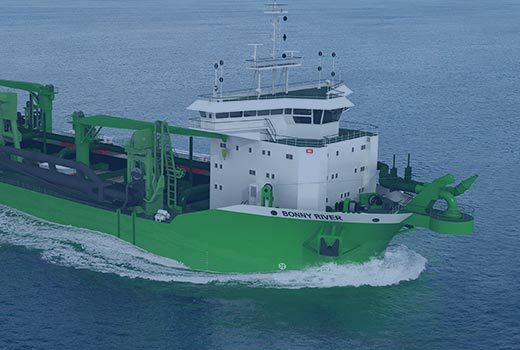 The capacity of this Trailing Suction Hopper Dredger (TSHD) is 8000 m3. 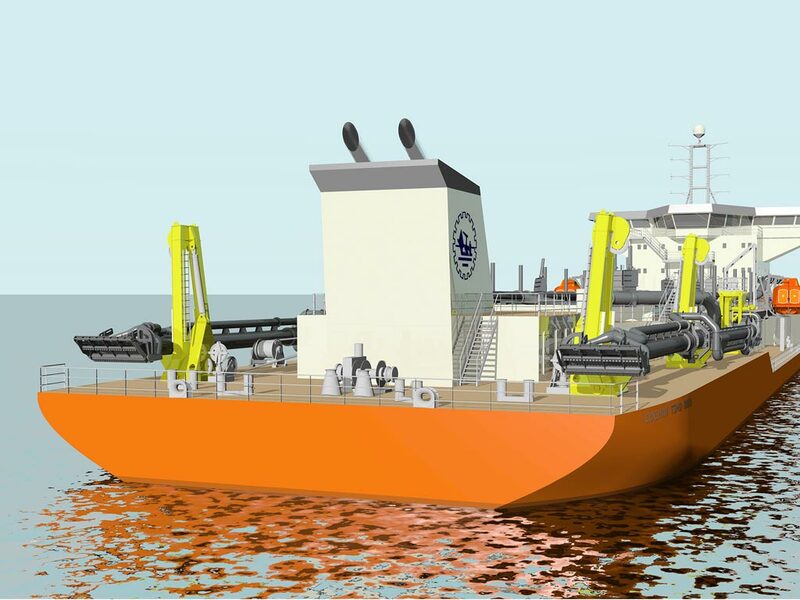 The vessel has two suction arms to optimize operability.